Two-thirds of executives say their organizations don't have the capabilities to support their strategy. 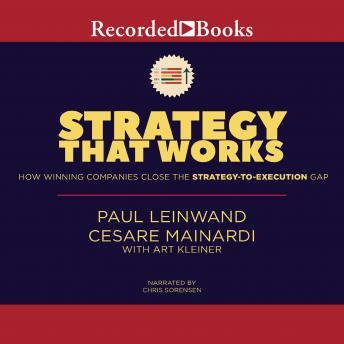 In Strategy That Works, Paul Leinwand and Cesare Mainardi explain why. They identify conventional business practices that unintentionally create a gap between strategy and execution. And they show how some of the best companies in the world consistently leap ahead of their competitors.